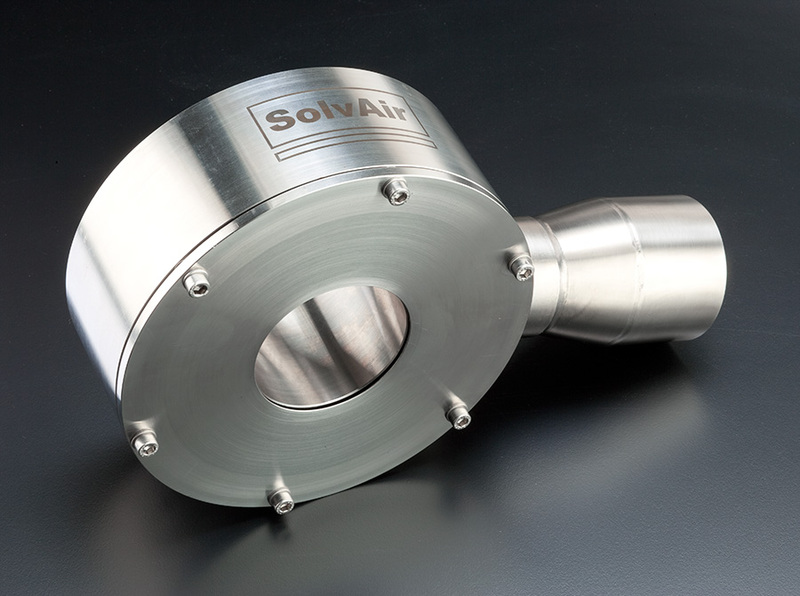 Energy efficiency is at the heart of every SolvAir Air Knife System. Our Circular Air Knives are widely used for cable/tube drying applications and for plastics/rubber extrusion lines where they effectively remove water after cooling baths. Following on from this we are excited to announce we have launched a new design. Our range of Circular Air Knives are designed for use with high pressure blowers rather than costly compressed air and can be used to remove coolants from the surfaces of formed/pressed sections and profiles. We get a lot of questions about how air knife systems work. To help, and for anyone interested, we have put together a very quick 60 seconds video overview of everything you need to know about air knife systems in general. We are pleased to announce our most recent addition to our European network, Linå Procesventilation, who operate from Silkeborg near to Aarhus. They will become our Danish distributor and will utilise their experienced sales personnel to develop and support the Paxton brand in Denmark. 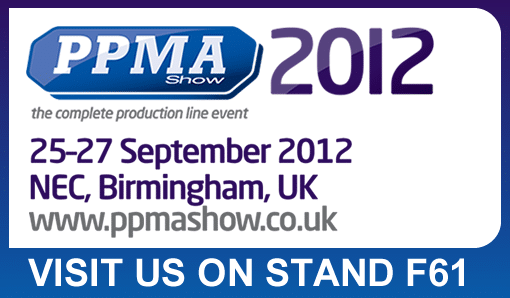 SolvAir will be exhibiting at PPMA Show 2012. We will be showing the very latest in energy efficient Air Blowers at Stand F61 from the 25-27th September. Visit the PPMA site for more information or feel to contact us to schedule a meeting. 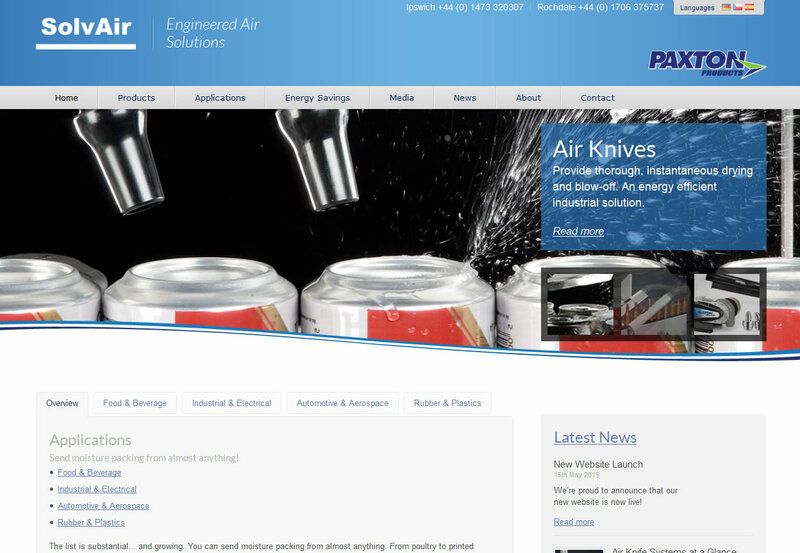 Air Knife Experts Banner How good are Paxton products? 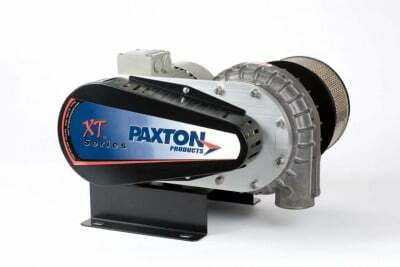 How good are Paxton products? See for yourself! Paxton now have their own YouTube Channel which they are populating with videos of their products. 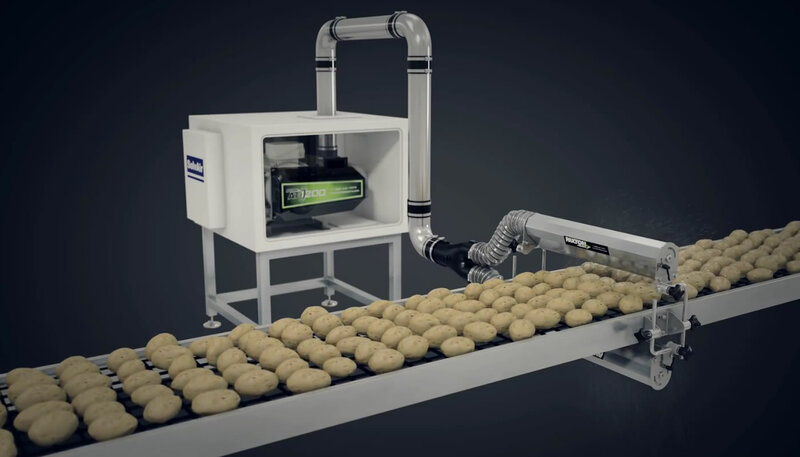 This means you will now be able to browse a range of Paxton products and see them in action for yourself, such as with their benchmark Air Knife Drying System which is shown drying a wide range of products in separate videos. 27-30 March 2012, Cologne, Germany. We are pleased to announce that Solvair will be at Anuga FoodTec 2012. Our partners GESETE are hosting the Solvair stand and will be displaying and demonstrating the latest Solvair Drying Systems in Hall 05.1, stand number A-016. 9–11 Nov 2011, Nuremberg, Germany. SolvAirs German partners, GESETE GmbH, will once again be at this years Brau Beviale exhibition displaying our very successful Air Knife Drying systems.